Take Me Fishing is asking women to inspire others with stories and pictures about fishing and boating. 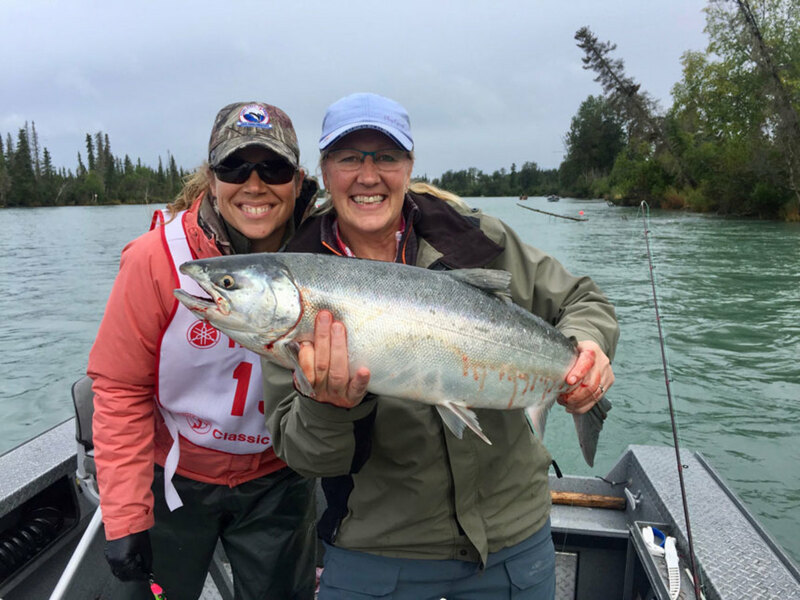 Shown here are guide Kasey Loomis, left, and Kenai River Classic chairwoman Kristen Mellinger. Take Me Fishing is asking women to share their fishing and boating stories on social media as part of Women’s History Month. The campaign, which is an initiative by the Recreational Boating and Fishing Foundation, is asking women to share stories on social media and tag Take Me Fishing (#Take_Me_Fishing on Twitter) or send stories to info@takemefishing.org by March 20. The best stories will be featured on Take Me Fishing and Vamos a Pescar blogs and social media. “Fishing heals my soul,” says Patsy Smith on Facebook. Women helped drive an 8.2 percent spike in fishing participation in the last five years, with 45 percent of new fishing participants being female last year, said Frank Peterson, president of the Recreational Boating and Fishing Association, during an industry breakfast at the Miami International Boat Show. Of those females, 42 percent were between the ages of 6 and 12. To understand the needs of women, millennials, and diverse cultures, companies need to have relevant members on their staff, Peterson said, adding that 25 percent of RBFF employees now speak Spanish and all but four are female.